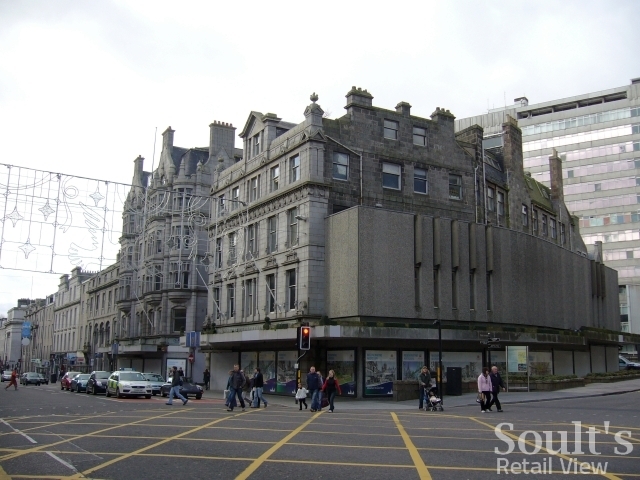 When I wrote about Vergo Retail’s recent acquisitions a few days ago, it brought to mind the photographs that I took back in February this year of the former Esslemont & Macintosh (E&M) department store in Aberdeen’s Union Street. 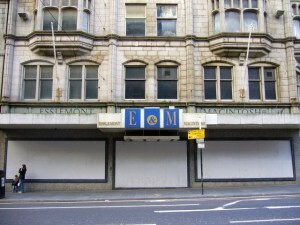 When Owen Owen fell into administration in March 2007, E&M was the only one of its four stores not to be saved. Indeed, by the time Vergo Retail stepped in to buy the others – Robbs in Hexham, Joplings in Sunderland and Lewis’s in Liverpool – in May 2007, the administrators had already closed E&M’s doors for good, with no buyer able to be found in time. 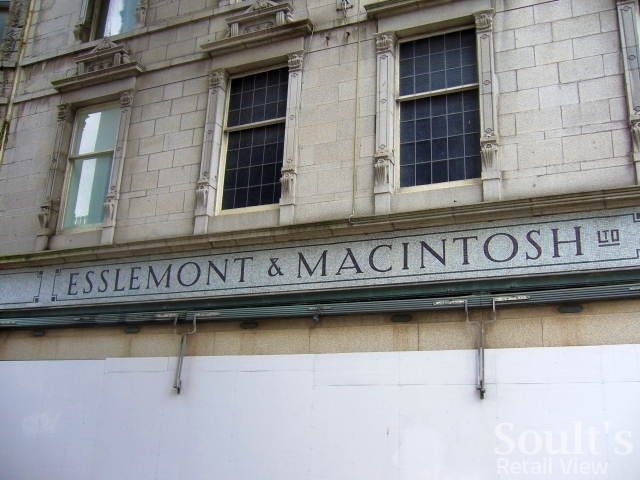 It was a sad and sudden end for a store that had enjoyed a long history, established in 1873 when Peter Esslemont and William Macintosh merged their businesses into one. 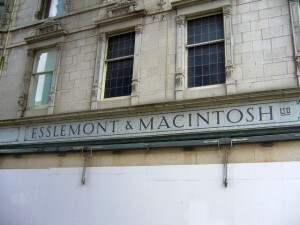 For over 130 years, the store had remained in the ownership of the Esslemont family, the connection only ending when E&M was sold to Owen Owen in 2005. 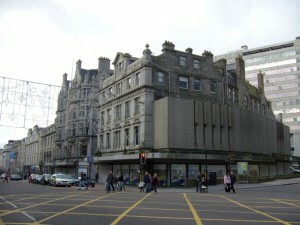 At the time, company chairman Pauline Esslemont suggested that “being within the Owen Owen group will strengthen E&M’s position as the pre-eminent department store in Aberdeen”, highlighting the challenges that it already faced as as independent store within a competitive city centre. When I visited Aberdeen in February, I was naturally curious to see what had become of the E&M building. The answer – not very much, or at least not yet. 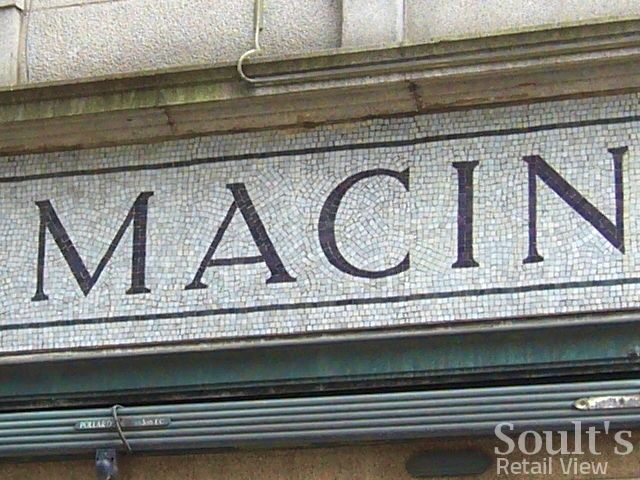 Even though the store was boarded up, it was nice to still be able to see some of the architectural detail, notably the mosaic fascia spelling out the business’s name. 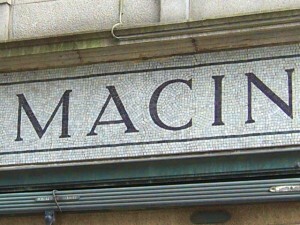 Pleasingly, there are plans to bring the property back into use as a hotel, with the architects’ visualisations suggesting that the mosaics may be retained as a reminder of the building’s past life. 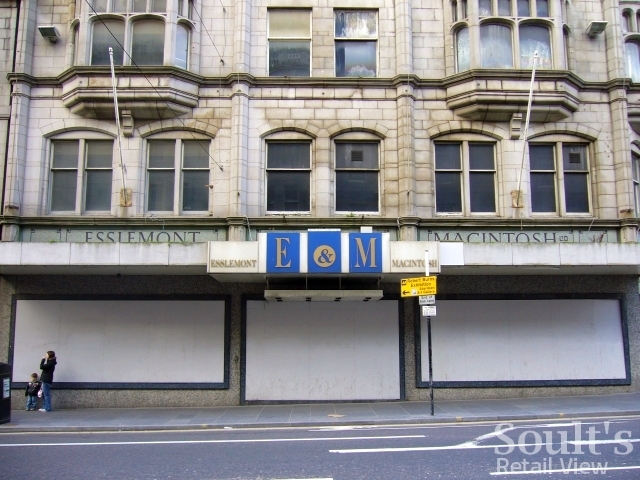 Though E&M may be no more, that would seem a neat way of recognising and celebrating the store’s significance to Aberdeen’s retail history. Next story Wilkinson’s trial rebranding here to stay? Jamie Oliver is opening a restaurant called Jamie’s Italian there.